Lying on the coast beneath Torrox lies the modern resort of Punta de Torrox. 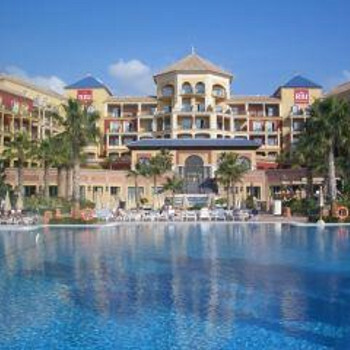 Although the resort has long been popular with Germans, it is becoming increasingly well know in the UK. The resort boasts a wide sandy beach while apartments and villas remain some of the most popular forms of accommodation. As it is away from the main tourist areas, the resort is considered relatively laid back. Day trips worth considering include driving inland to neighbouring Torrox, a Moorish town with an impressive history, and also the nearby, and much larger, resort of Nerja. We went in November so the resort was mostly closed and there were pedestrian works being carried out. The sand is very soft even though a dark grey in colour. Very peaceful and relaxing. This is a delightful place to stay if you want a nice easy going holiday. There is a lovely prom to walk along in the evenings with lots of small bars/cafes/restaraunts to help you along. Yes the sand is black but it didnt seem to deter those that were on it. Torrox does need a lot of work to make it a good resort for British tourists, it tends to favour Germanic visitors quite strongly. There is a large non Spanish population in the area and this is reflected in the bars spread along the seafront. To be fair I suppose February is a bad month to judge it on, although we did enjoy very favourable weather and this brought the locals out on the weekends. It's funny to see so many people wearing fleeces and the like when you are strolling in shorts and tee shirts thinking how warm it is. Now the beach was a bit of an eyesore, particularly as they had a convoy of trucks moving the sand from one end to the other throughout the daylight hours which prevented it being used. We decided it was good to see that they wanted to get the beach area sorted ready for the summer season and this work really was necessary. When we got home and chatted with friends who visited last March it transpires they were doing the same last year, so perhaps it might be wiser to develop the area where the beach actually exists. We would visit again for a totally relaxing break in one of the Costa's best hotels, but a week would be long enough. The resort of torrox is quite plain but if you know where to go( I have friends and family living there) you can have a great time. Some of the places are off the beaten track eg; Casa Marias' what a great bar in a barn on a working farm. Taxi s know where it is but some of the staff at ferrara don t know of it! Also El Barco olong the beach front on a Sunday afternoon for the reggae session. That was great. The resort is very small with only a handful of shops. the resturants are first class espically the caribe which is run by a german gentleman who speaks good english and is the most pleasent german i have ever met. Every one in the resort is friendly and will always stop for a chat. the beach is of grey sand. This resort is not for people looking for lots of bars and discos, it is a quiet family resort that is very peaceful. While we were there we saw none of the loutishness that is associated with the spanish costas. Torrox when we visited was clean and tidy so no worries there as for entertainment there is a few bars and restaurants and a dozen or so shops not much to do in the evening if you are looking for nightlife this is not the place for you. but only a hand full of brave souls were in the sea. all in all a quiet beach with not that much going on. The resort was nondescript to say the least, nothing attractive at all about it and nothing much to do. If you enjoy strolling around in the evenings, browsing boutiques and people watching,forget it! It's very dated, 12 storey towers all over the place, the Riu stands out as a jewel among them. The beach was a grey shingle, perfectly clean and well maintained, just not that attractive to look at. If you are looking to relax and stay in the hotel for your stay it's fine, if you're looking for anything else you will be dissapointed. Torrox Costa is not beautiful but does have a nice flat promenade to wander along. The beach is clean and well kept(although rather grey sand). The sea can be very rough where the waves break....I got knocked right over. The resort is very child friendly which unfortunately was not what we were looking for. There are some play areas for kids and they are well catered for in the restaurants. We found the selection of restaurants very disappointing. Lots of plastic chairs along the prom and very little good spanish food. We did however find a real gem for the discerning diner. El quino pino which is next to the Riu Ferrara in the road to its right if you looking from the prom. We hired a car for a couple of days and found driving in the area very easy and well worth it.we visited local places ( nerja, the caves, torrox village, frigiliana) and also drove to Granada to see the Alhambra.An easy drive and well worth it. I consider Torrox costa to be a good base to visit the area.But too family oriented for me to return. We were looking for a nice quiet resort and we found Torrox Costa to be perfect. The resort was very clean and had a really nice, well maintained promenade running the length of it along which were a good range of bars and restaurants In the evening there are a number of stalls selling locally produced, handmade goods which are interesting to browse through (no hard sell). We have given the resort entertainment a score of five because, for us, it was perfect. However, if you are looking for nightclubs, discos, water parks etc. then you would probably give it only one. Don't go there unless you are looking for a nice, quiet, relaxing time! The beach is lovely, clean and sandy. The only reason we have given it four instead of five is the colour of the sand. Because of the type of rock in the area the sand is an odd sort of grey colour. This put one or two people off although it didn't bother us in the least. A lot of Spanish people seem to come here for there holidays and this added to the atmosphere for us. It is also a good base for visiting the surrounding area. We went to Gibraltar, Ronda, Granada, Nerja (including the caves which are a must!) and various other places. I would definitely visit the resort again and would not hestitate to recommend it to others looking for a relaxing break. Torrox Costa is not the most beautiful resort on the costas, it does however grow on you. Perfect for a family, evening dining on the beach front.